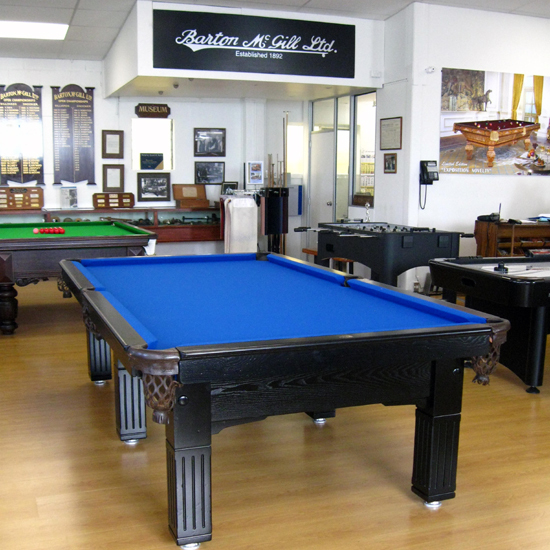 Barton McGill Billiards is a long established Billiards, Snooker & Pool Table specialist company that offers a comprehensive selection of restored Billiards/Snooker/Pool Tables, Antique Billiard Tables, Bagatelle Tables, Games-room Furniture and Antique Billiard Accessories. It is the mission of our company to offer customers items fully restored and finished to the highest standards combined with outstanding service and backup. We believe that experience, quality and great service is essential in today’s competitive and often confusing marketplace. 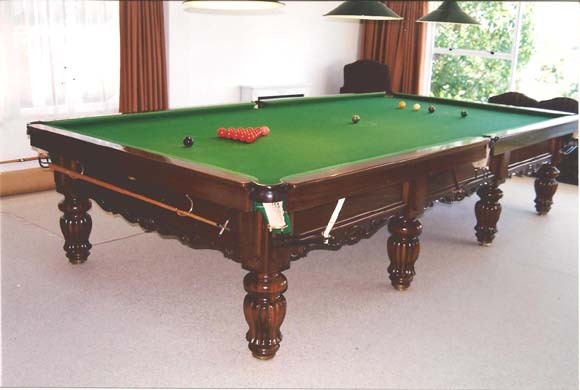 Fully Restored Barton McGill 8-ft “Victorian” Billiards table Circa 1980. 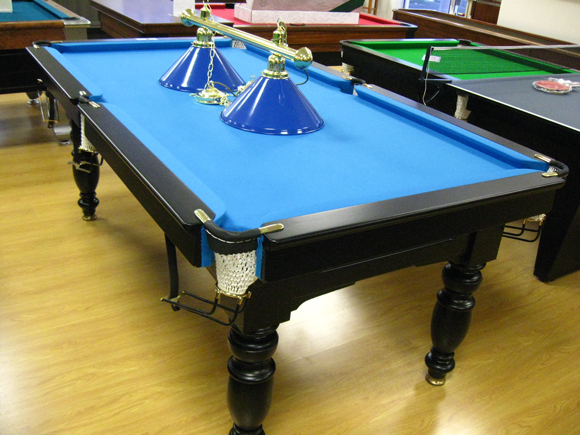 Barton McGill Victorian billiards tables are handmade and are all individually pre-assembled, slates hand-floated, cushions fitted, and all parts serial numbered and stamped before final polishing & delivery, ensuring a perfect table every time. These time consuming & costly manufacturing processes are unheard of today in this era of mass production. Handcrafted in solid African Mahogany, featuring: Individually hand-carved Leg Scrolls, Italian 3 piece slates 1.1/8″ thick, Patent BMG full-size cushion rubber cushions, pocket opening cut to IBSF templates. All woodwork has been repolished in Mirrortone lacquer to a warm mahogany finish. NEW Rail pockets, nets & leathers fitted. 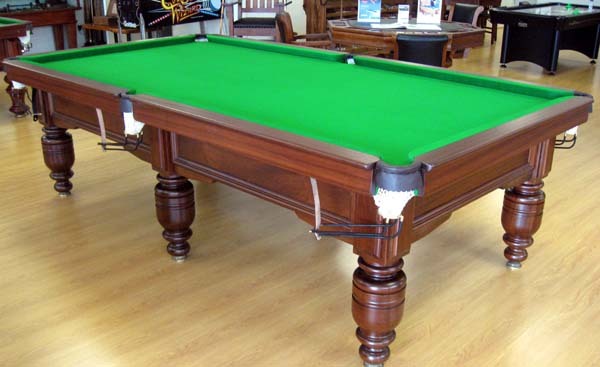 The new owner will get the Bed and cushions recovered in “Strachans” West of England 6811 Tournament select championship cloth included in the price. 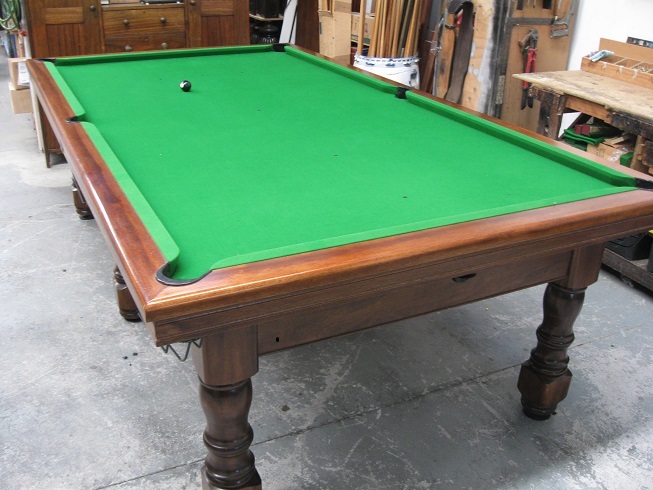 But please call us if you are looking for a table similar to one of these featured tables below, as many of our restored tables do not get shown on our website. 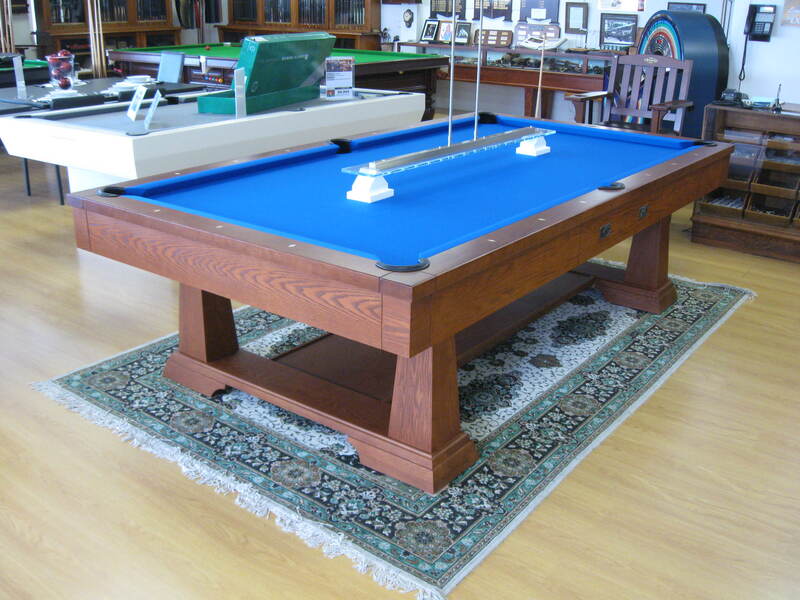 SOLD Barton McGill 10ft “Traditional” Billiards table Circa 1987. 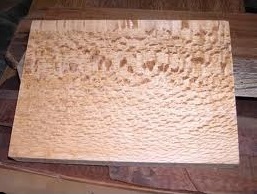 All woodwork has been re-polished in Mirrortone lacquer to a warm mahogany finish. Tournament select championship cloth included in the price. 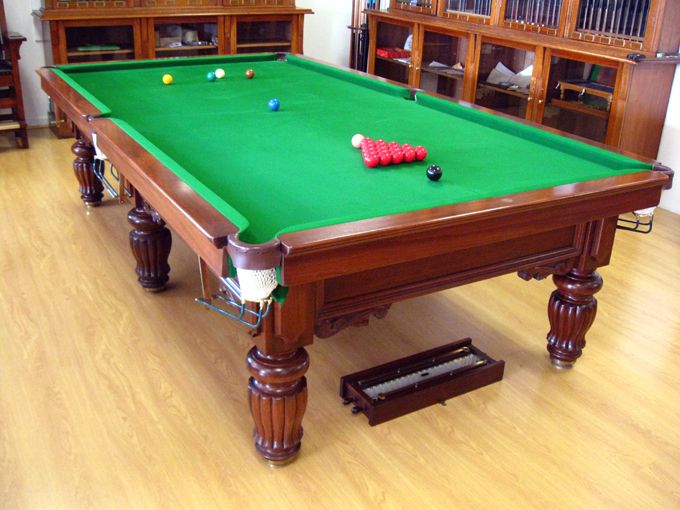 See the above example of a recently restored Full-size Billiards table by our expert craftsmen, the Alcock “Exhibition” will be finished in this rich honey coloured stain, high lighting the amazing character of Rewa Rewa grain. 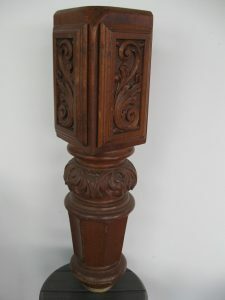 The fully hand carved Alcock & Co leg, shown before restoration.. The Beautiful Rewa Rewa Grain in natural finish, we offer a choice of stain colour & finishes. 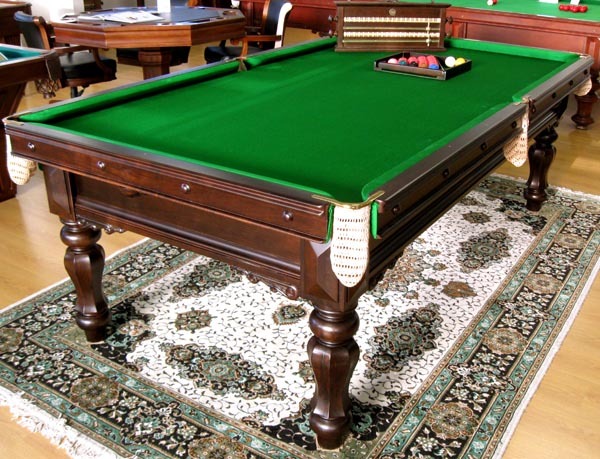 This magnificent table, an example of the exacting craftsmanship of the billiard table makers of yesteryear, represents a “once-in-a-lifetime opportunity” to own this piece of history. Handcrafted by Alcock & Co, from solid New Zealand Rewa Rewa otherwise known as Honey Suckle. with the cushions bolted directly into the slates for speed and true rebound. Individually hand-carved Acanthus Leaf Leg bowls &leg Panels adorn the table knees and compliment the ten-inch diameter hand turned legs. All woodwork has been stripped back to bare wood and re-polished in Mirrortone lacquer to a warm honey finish or to your own choice of finish. New Rail pockets, nets & leathers fitted and hand stitched on. Made in NZ, this table is great value for the money. Boldly stepping into a new era, the cutting-edge style of the Manhattan combines the tenets of today’s contemporary design with the craftsmanship and world-renowned playability for which Brunswick is legendary. Sophisticated and sleek, and stunning in its presence, this dynamic table is an exciting addition to any contemporary room. Fully stripped and re-polished in Mirrortone black lacquer. 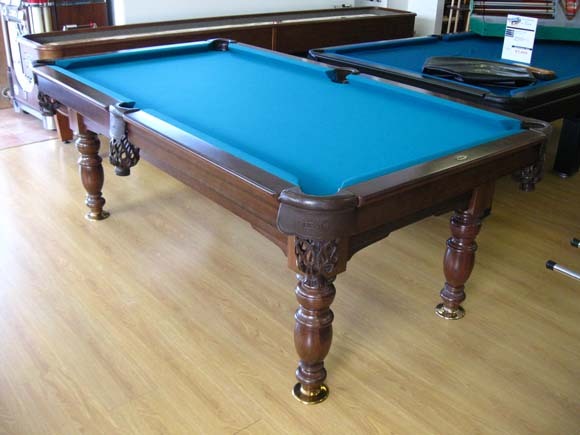 SOLD The Barton McGill Capri model has been used in more tournaments than any other table make, including tournaments such as the New Zealand, Auckland, and Oceania 8-Ball and 9-Ball Championships. 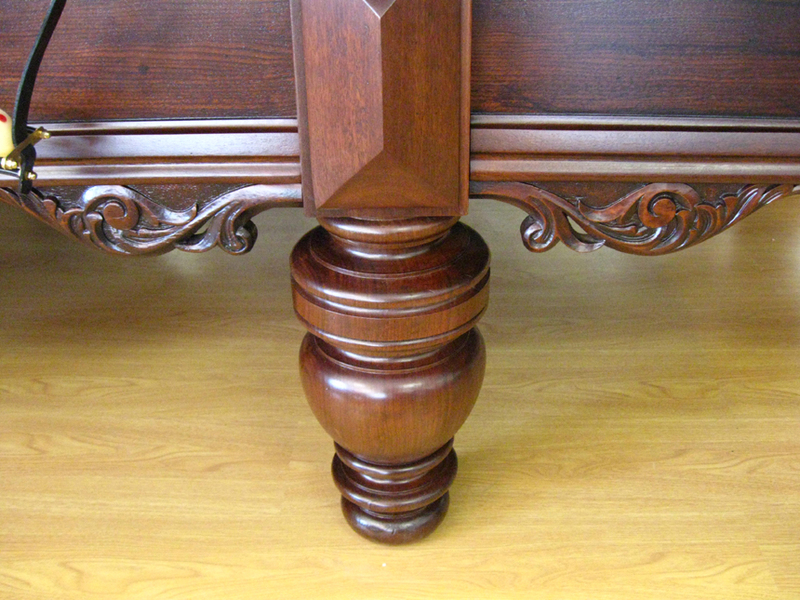 The fine clean lines and the classical fluted column legs are reminiscent of Ancient Greece. Hand crafted in solid Kauri and fitted with Massive 3 x piece Italian slates, hand floated for premium accuracy. * New Simonis 860 Pool cloth on bed and cushions in a Petroleum Blue colour. 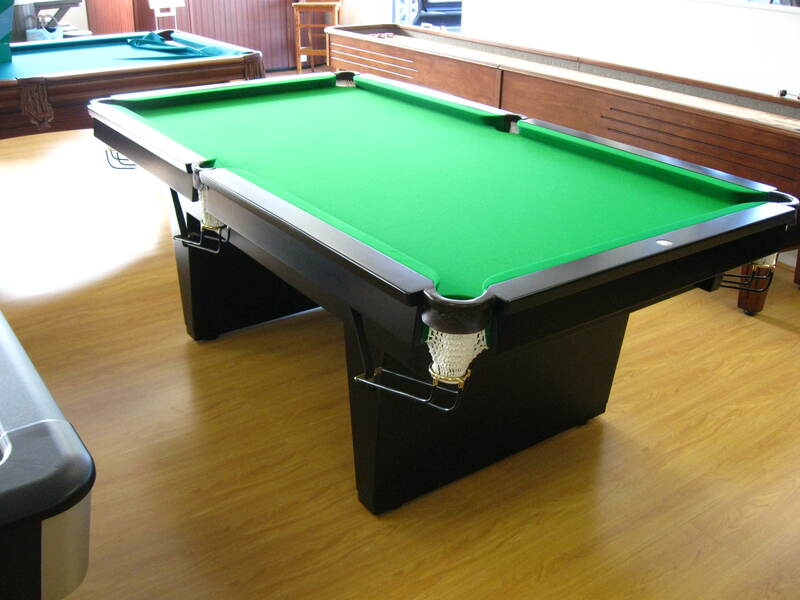 INSTALLATION by Barton McGill Ltd factory trained billiard fitters any where in New Zealand, ask for a price. 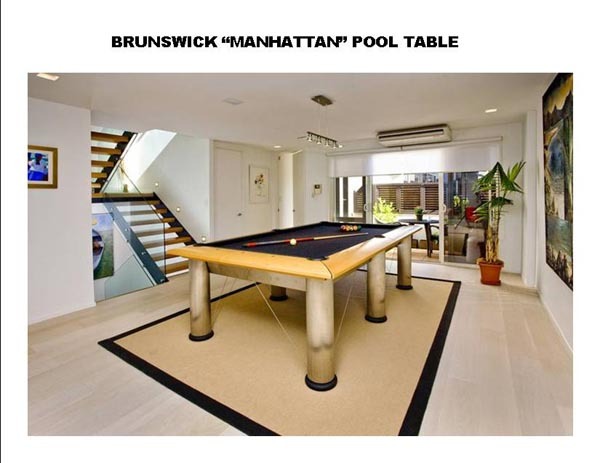 SOLD Brunswick “Artisan” circa 2009 This table is in exceptional condition, just like new! 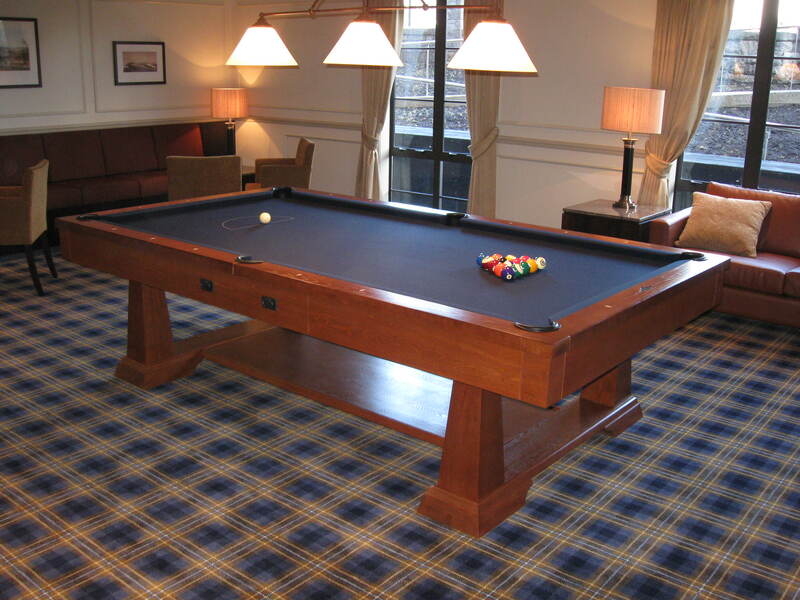 The “Artisan” Pool Table – Solid Mission Oak, 3 piece 1” slates. The Artisan table was inspired by the turn-of-the-century Arts and Crafts movement – noted for the return to strong, hand-crafted, simple design. Distinct, flared legs anchor this table and the oak finish features unique fly specking and cow tailing detail. Including, new Premium Player Accessory package & new cloth on bed & cushions. The Statesman is a ball return table.Fully recovered with Simonis 860 Tournament cloth, new K-66 cushion rubbers, re lacquered legs and carcase.Chrome pocket corners. 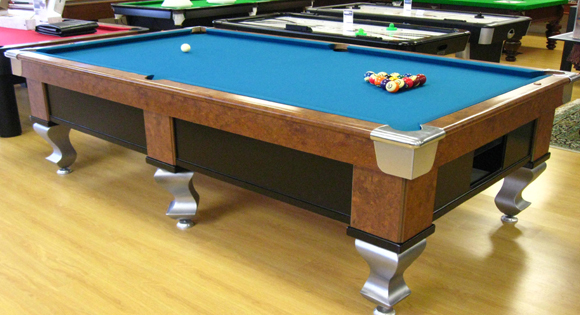 The “Artisan” Pool Table – Solid Mission Oak, 3 piece 1” slates. The Artisan table was inspired by the turn-of-the-century Arts and Crafts movement – noted for the return to strong, hand-crafted, simple design. Distinct, flared legs anchor this table and the oak finish features unique fly specking and cow tailing detail. Including, new Premium Player Accessory package & new cloth on bed & cushions. 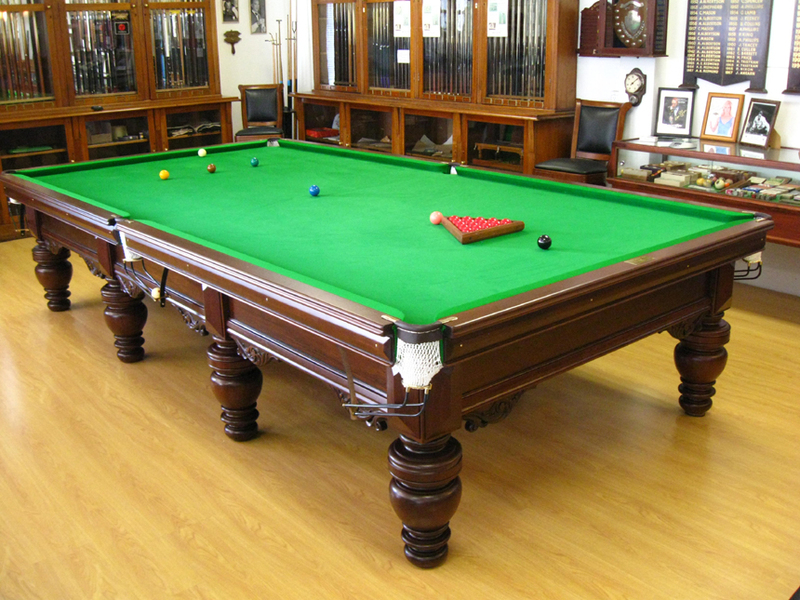 SOLD Barton McGill “Victorian” Billiards table Circa 1987. This table is in exceptional condition, just like new! 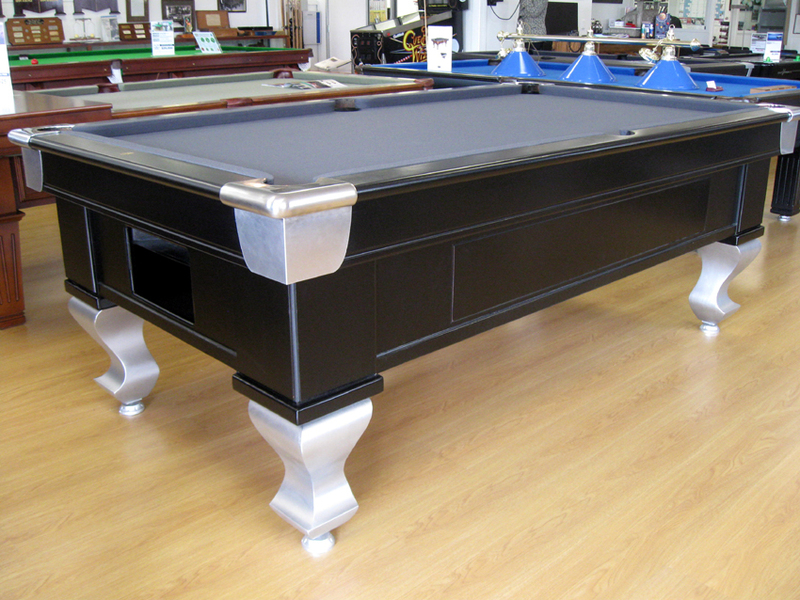 Barton McGill Victorian billiards tables are handmade and are all individually pre-assembled, slates hand-floated, cushions fitted, and all parts serial numbered and stamped before final polishing & delivery, ensuring a perfect table every time.These time consuming & costly manufacturing processes are un heard of today in this era of mass production. 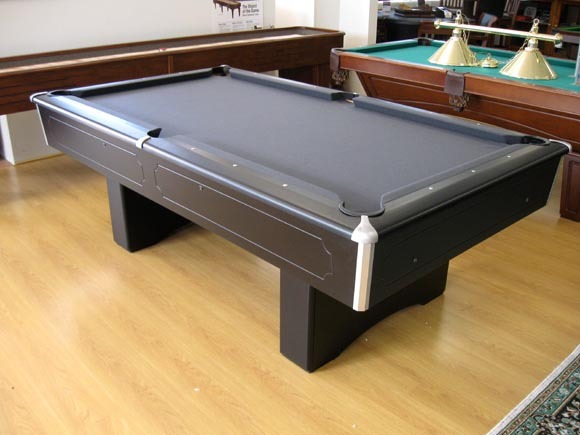 SOLD 8ft “Alcock & Co” Billiards table. Circa 1870’s. 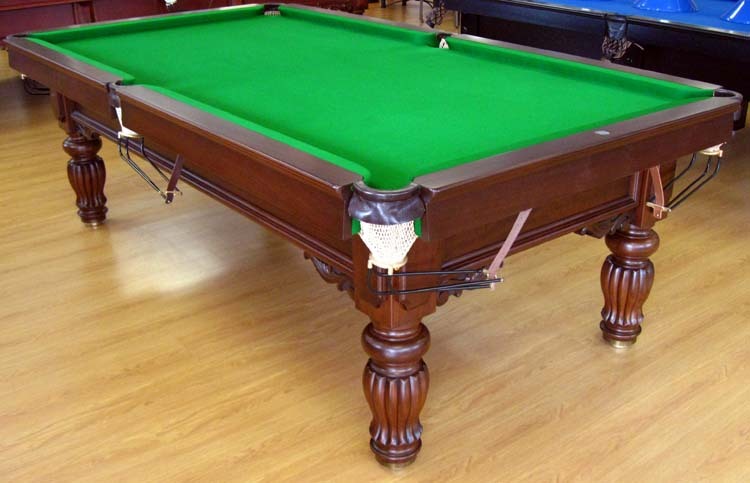 This magnificent table, an example of the exacting craftsmanship of the billiard table makers of yester year, represents a “once in a life time opportunity to own” this piece of history. Hand crafted by Alcock & Co in Melbourne, Australia, from solid Tasmanian Blackwood and re finished in Mirrortone walnut scratch resistant lacquer. Featuring Welsh three piece one inch thick slates with the cushions bolted directly into the slates for speed and true rebound. 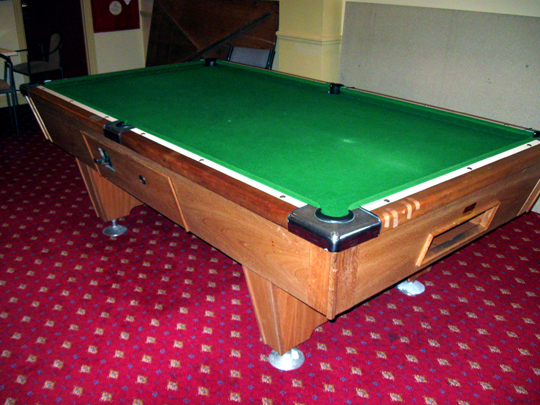 (very rare in tables of this age) Cushions fitted with Barton McGill Patent F/S cushion rubber and covered in Strachans West of England world championship super fine woolen cloth, the table is in every respect a miniature version of the Full-size billiards table. 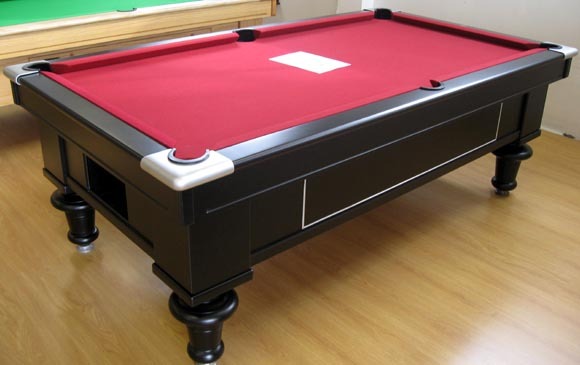 Barton McGill tables are handmade and are all individually pre-assembled, slates hand-floated, cushions fitted, and all parts serial numbered and stamped before final polishing & delivery, ensuring a perfect table every time. Hand crafted in solid African Mahogany, featuring: Individually hand carved Leg Scrolls, Italian 5 piece slates 1.1/2″ thick, Patent BMG full-size cushion rubber cushions, pocket opening cut to IBSF templates,The new owner will get the Bed and cushions re-covered in “Strachans” West of England 6811 Tournament select championship cloth included in the price. 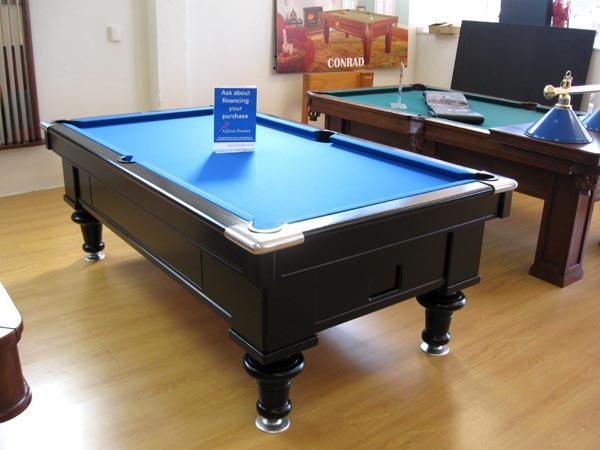 Barton McGill tables are handmade and are all individually pre-assembled, slates hand-floated, cushions fitted, and all parts serial numbered and stamped before final polishing & delivery, ensuring a perfect table every time. Hand crafted in solid African Mahogany, featuring: Individually hand carved Leg Scrolls, Italian 3 piece slates 1.” thick, Patent BMG full-size cushion rubber cushions, pocket opening cut to templates, Bed and cushions re-covered in “Strachans” West of England 6811 green championship cloth. The wood work is stripped and re polished in Mirrortone scratch resistant lacquer. Rail pockets with white cotton nets fitted to solid brass pocket irons. 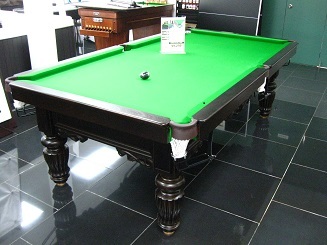 The Barton McGill Capri model has been used in more tournaments than any other table make, including tournaments such as the New Zealand, Auckland, and Oceania 8-Ball and 9-Ball Championships.